The health of a vehicle’s transmission is a major determining factor in whether or not it will last a long time and remain reliable. If a vehicle’s transmission is not properly maintained, it could lead to extremely costly repairs. Drivers in the Apple Valley, Hesperia, and Victorville areas can get their transmissions checked, repaired, and maintained through Road Runner Auto Care. 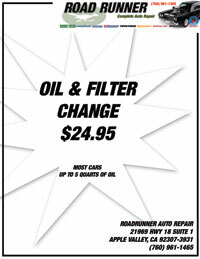 At Road Runner Auto Care, we do everything that we can to make sure that your car will last as long as it should. How Often Should I Get My Transmission Checked? Your transmission should be fully checked either annually or every 30,000 miles — whichever comes first. A malfunctioning transmission can be incredibly dangerous. Additionally, the cost to fix your transmission may increase over time, as your transmission may get steadily worse without the issue being resolved. Regular transmission maintenance is a cost-effective and safe way to avoid more serious transmission problems later on. Road Runner offers comprehensive auto repair and transmission services throughout Apple Valley. How Do I Know If I Need a Transmission Repair? Transmission problems can show themselves in a variety of ways. You may hear your vehicle making strange sounds during operation, or your vehicle may cease to remove entirely. You may find that fluid has leaked when your vehicle is parked or that your “check engine” light is on and will not go off. You may also feel your transmission slipping or may even encounter a complete transmission failure. If you experience any of these issues, you should visit an auto care service in Apple Valley as soon as possible. Transmission problems will generally get worse over time. Where Can I Get Transmission Maintenance or Repair in Apple Valley? At Road Runner, we service the areas in and around Apple Valley, California — including Hesperia, Victorville, and surrounding cities. 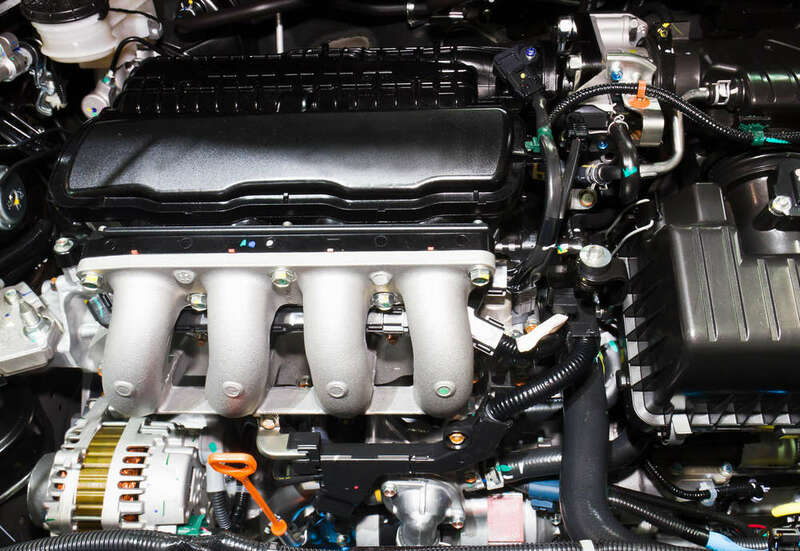 We can perform a wide variety of auto repair services, from oil changes to fuel injection repairs. If you need transmission maintenance, repairs, servicing, or diagnosis, contact us today to find out more about our services.